This is actually my third time to dine at Paparazzi! Check out my first visit here! Our meal began with the Vitello Tonnato, a dish that exhibited a great play on flavors. 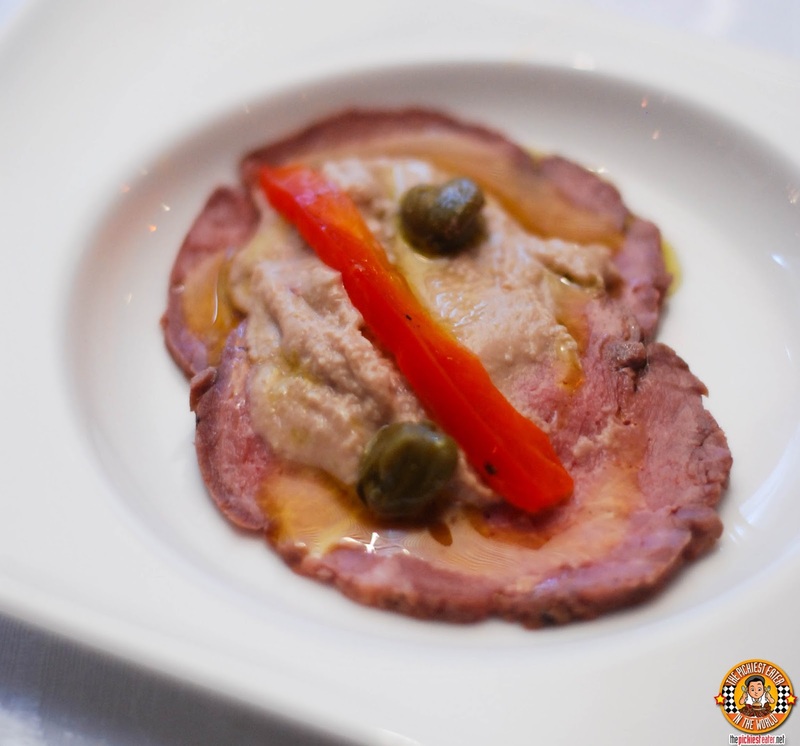 A thinly sliced Veal, is topped in a thick Tuna Sauce and speckled with Pantelleria Capers. You wouldn't think that the pairing of veal and tuna would work well, but the contrasting flavors melded seamlessly together, you'd think they were star crossed lovers. The subdued, yet pronounced meaty flavor was complimented by the more robust flavors of the tuna. 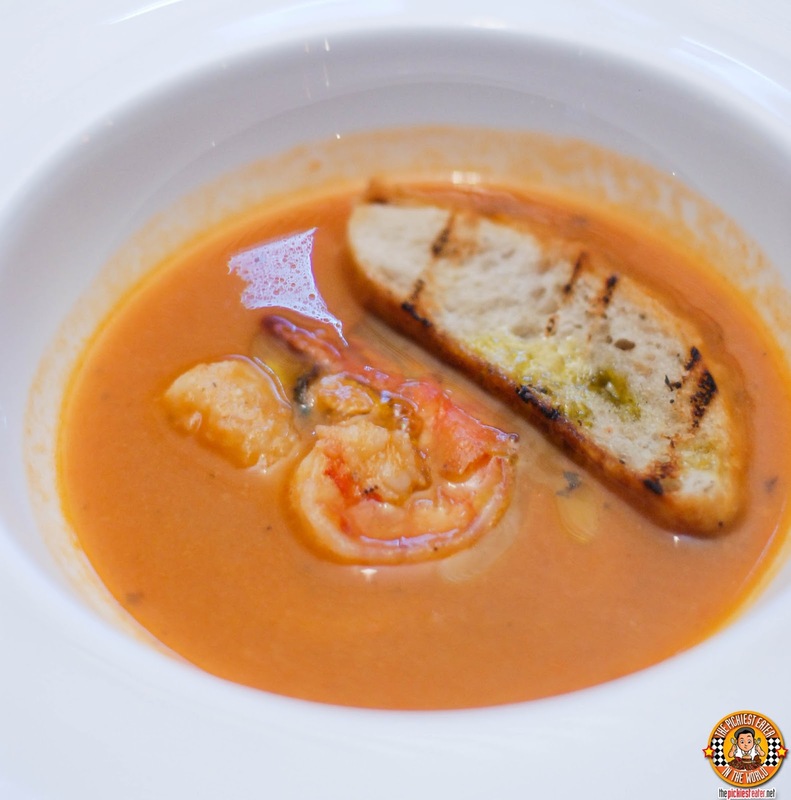 The Caciucco Soup was Paparazzi's take on the Classic Livornese Seafood Soup. Chunks of assorted seafood, was swimming in a deliciously seasoned broth, given added vibrance by a punch of tomato sauce. I wasn't expecting to like the Fettuccine Verde, but it turned out to be one of my favorite dishes of the evening. 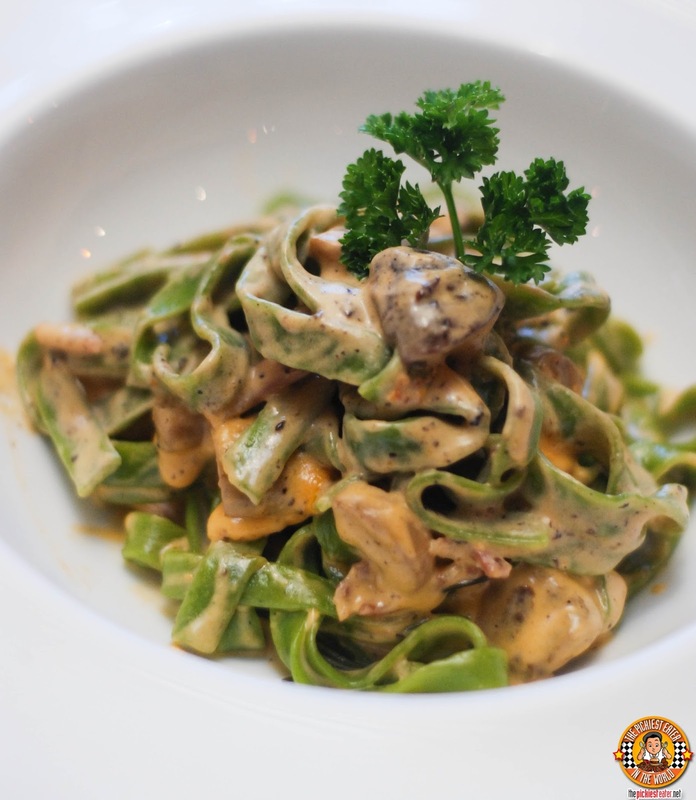 Homemade Spinach Fettuccine Pasta is doused in a luscious mushroom cream sauce that utilizes the right amount of saltiness to avoid it from becoming too cloying. 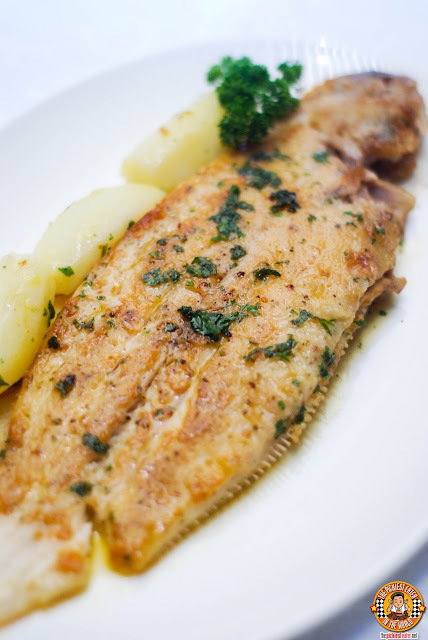 I'm not too big on seafood, with the sole exception of fish, and the Sogliola was absolutely something I went nuts over. It's one of those dishes that seems so simple, but you can't help but appreciate the skill put into the execution. The fish could easily be overdone and go dry, but Paparazzi absolutely nailed it. The fish meat was so tender, it virtually melted in my mouth as the notes of butter and lemon did a little tango in my taste buds. 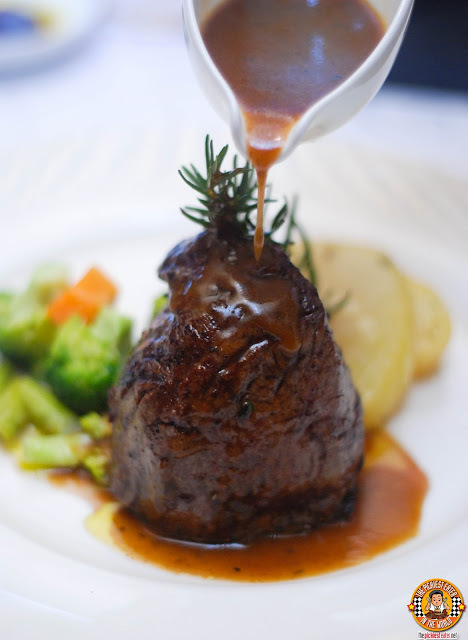 For the knockout punch, our hosts brought out the Filletto, a glorious piece of Angus Beef Tenderloin that you may drown in a rich red wine gravy. 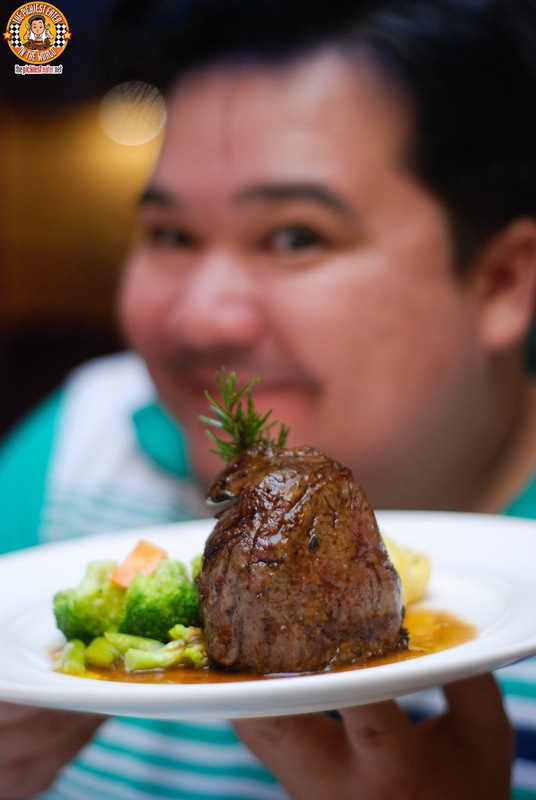 I normally stay away from Tenderloin because of it's lack of fat, but this piece of meat was so juicy, I couldn't help but polish it off from my plate. 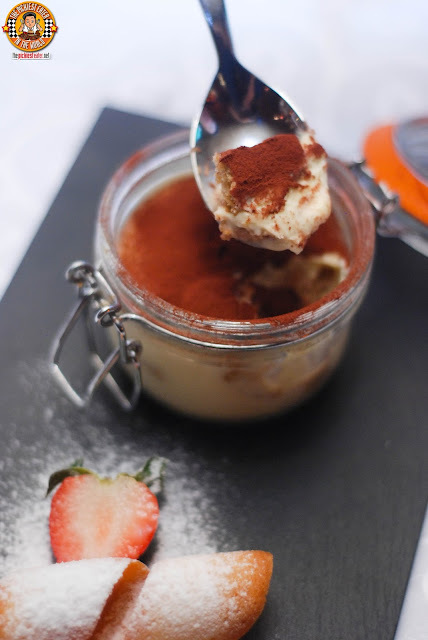 The final crescendo to this beautiful Italian Symphony was the Tiramisu, one of the signature dishes of Paparazzi. A Traditional Dessert given a modern spin, the Tiramisu featured an amazing sponge cake that didn't overwhelm you with the flavor of liqueur. It had just the right amount of sweetness, and you may even add some of the strawberries that it came with for a nice tart kick. On the whole, I can't help but feel impressed with Paparazzi's menu. There are some very good Italian restaurants here in the Philippines, but if you're looking for mix of sophisticated ambiance and a romantic setting, coupled with spell-binding food? Paparazzi is in a class by itself.